Have Tools and Need Cash? Empire Loan is Here to Help! If you need a fast cash loan and have tools, Empire Loan at 1271 North Main Street in Providence can help. Power tools from manufacturers like DeWalt, Bosch, Porter Cable and other top quality brands can be converted into fast cash loans at Empire Loan in Providence. Our staff will take a look at what the tools in similar condition are selling for second hand online with websites like eBay and Amazon and offer you a cash loan based on a percentage of what they sell for. Customers have brought in tools and gotten pawn loans from Empire for anywhere from $40 or $50 to a few hundred dollars. 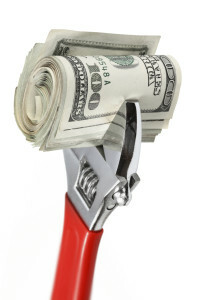 Hand tools from major manufacturers also can be used as collateral to get a loan from Empire. Brands like Snap On and Klein are just a couple of the manufacturers that Empire can turn into cash. Complete sets or individual tools all have value. It’s not just tools that Empire Loan in Providence takes in for loans. Musical instruments including guitars, trumpets, saxophones, flutes and even accessories like amplifiers, pedals and microphones can be converted into cash as can DJ equipment, electronics such as flat screen TV’s, tablets and laptops and even smart phones. Designer hand bags from Coach, Louis Vuitton, Fendi and others that have the proper paperwork can also be used as collateral for a loan from Empire Loan in Providence. If it has secondhand value, let Empire Loan on North Main Street in Providence turn it into cash! Need a Pawn Shop in Massachusetts or Rhode Island? Over 30 years ago, Empire Loan opened their first store in Boston’s South End. Since then we’ve grown to 8 locations giving customers easy access from just about anywhere. All Empire Locations offer easy parking, access to public transportation and Empire Loan’s history as the most reputable pawn shop in New England. Empire Loan locations are easy to reach to the south with two locations in Providence, Rhode Island and another one in New Bedford, Massachusetts. These locations have been a part of the community since opening on Broad Street in Providence in 1989 and then in New Bedford in 1994. We’ve even opened another location on North Main St. in Providence in 2006 that included a guitar store that offers a wide range of products and services exclusively for musicians of every talent level. Customers west of Boston in Worcester have been taking advantage of Empire Loan’s services since 2000 when we opened our store there. Since then the Worcester store has been so successful that we had to move to a larger space at 700 Southbridge Street in the College Square Plaza. With plenty of free parking, residents from surrounding towns like Auburn, Charlton, Millbury, Northborough, Shrewsbury and Southbridge to name just a few, have made Empire Loan their one stop money shop. In 2011, Empire Loan filled in the south shore area by opening our 6th store on route 138 in Stoughton. This meant residents from Brockton, Canton, Randolph and Milton didn’t have to fight traffic to get into the city of Boston or travel down to the south coast. This also meant that customers were able to get the fast cash loans they needed without having to go very far. Empire Loan turned our attention to the north and opened our Lowell store in 2012 at 43 Merrimack Street in downtown Lowell to serve the Merrimack Valley area and southern New Hampshire. Up until then, residents of Pelham, Windham and Nashua, New Hampshire could only visit New Hampshire pawn shops that charged 20% monthly interest for 30 day loans. Empire changed all that by offering the lowest interest rates and the best terms of any pawn shop in Lowell and the Merrimack Valley area. To help better serve the north shore area of Boston, Empire Loan opened our newest store at 431 Lynnway in Lynn Massachusetts. This gave residents of Revere, Everett, Chelsea, Saugus, Peabody, Salem, Swampscott and Marblehead a convenient place to go when they needed a short term cash loan. Where will Empire Loan open a new location next? Tough to say, but for now, Empire Loan is the one pawns shop that has New England covered. Since 1970, the world has been celebrating Earth Day. This is a time when we demonstrate our support for the protection of the environment. People all over the world have been increasing the amount of recycling of paper and plastics to protect the environment, but people have actually been recycling gold, silver and diamonds for centuries. Gold and silver are very easy to recycle, being melted and turned into gold and silver bars. 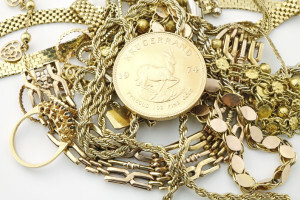 These precious metals can also be re-purposed into various electronic devices (cell phones and computers for example) and into beautiful jewelry. There is no degradation in the quality of gold and silver that is recycled and there is no way to examine a piece and determine if it was “freshly mined” or recycled. When the price of gold started its meteoric rise in 2008, millions of people sold the gold jewelry they had to take advantage of the rise from around $500 an ounce to $1,900 an ounce in under 5 years. Even silver went along for the ride from around $9 an ounce to almost $50 an ounce. This meant there was plenty of gold and silver (platinum too) being sold and melted down. These precious metals found their way back onto the market as bullion and coins for investors, but also into new electronic devices and of course new jewelry. The same thing happened with diamonds. As more jewelry was sent to the refineries to be melted down, there was a glut of diamonds that came back onto the market. These diamonds were also recycled for industrial purposes! Because they are so durable, diamonds get a second life being used for cutting and grinding. Diamonds are also often removed from their settings and re-cut or re-set in different pieces of jewelry. Re-cutting a diamond will help get rid of imperfections in the stone or make them more stylish and modern. Giving a stone new life is exciting, because some diamonds were formed billions of years ago, meaning they pre-date many generations of end users. Recycling these precious metals and gemstones can also help the environment by limiting the damage that the mining causes. The toxic waste created by the mines as well as the destruction of the lands where they are found can have lasting effects. This Earth Day, going out to buy gold and diamond jewelry may be one of the best things you can do for the planet. Celebrate National Earth Day by getting engaged in Earth Day activities in your area. Share your Earth Day experiences using #EarthDay on Social Media. National Earth Day is not considered a National holiday at National Day Calendar. However, we encourage you to learn more about this important day at http://www.earthday.org/earth-day-history-movement. HAPPY EARTH DAY! Times have changed at pawn shops in Providence. At Empire Loan on Broad St. and North Main St. in Providence the majority of customers still come in and get cash loans for their gold and diamond jewelry but over the past year or so, more and more customers have gotten cash for tools, cash for electronics and in particular, cash for guitars and musical instruments. The two Empire Loan stores in Providence are very different; Broad St. is Empire’s original Providence store having opened in 1989. It’s smaller and as a result does not have the space to store some of these larger items. Empire’s North Main St. location is much larger and has an added benefit; that store is connected to Empire Guitars, a large old school guitar store that features dozens of amps, pedals and accessories along with an amazing collection of guitars that range from entry level acoustic guitars to classic and collectible guitars that are valued at tens of thousands of dollars. This means they have experts on site that are able to assess and appraise your instrument and get you the most cash for your gear. When it comes to electronics, Empire Loan in Providence will appraise whatever you have and based on a percentage of what the items sell for used, they can offer you cash buys and loans that will help you when you need it most. Some of the electronics people are pawning in Rhode Island include flat screen TV’s, laptops, smart phones, digital cameras and tablets. Many of today’s hottest gadgets can get people the cash they need with a pawn loan from Empire. Getting cash for tools in Providence has been a growth category too. Through the years, homeowners have taken on more and more do-it-yourself projects and they have the tools to get the job done right. Instead of letting it just sit on the shelf in the garage collecting dust, Empire Loan is finding more and more customer coming in with those tools to get cash. Drills, sanders, circular saws and more can be converted into a fast cash loan at Empire Loan’s North Main St. location. Empire Loan in Providence can get you cash for tools, cash for electronics, cash for guitars and cash for all the things you need cash for. 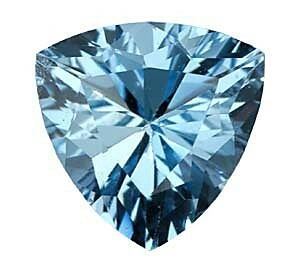 Cut: The cut of the diamond is simply the shape of the stone and the number and quality of the facets. The most widely used shape is the round brilliant cut which highlights the facets and cuts of the stone better than most. That’s because diamonds are cut to allow light in and then reflect outward, creating a sparkling appearance. There are many other shapes with their own unique qualities; emerald cut, princess, marquis, heart shaped, pear and even triangle shaped diamonds referred to as trillion. While round brilliant cuts are the most popular, an expert diamond cutter can use their skills to highlight the best aspects of each individual stone and mask or hide the diamonds imperfections. Color: A better way to think of the color of a diamond may be to describe it as lack of color since diamonds should really be transparent or colorless. The Gemological Institute of America (GIA), the foremost authority of gemstones, uses a D-to-Z diamond color-grading system that measures the degree of colorlessness by comparing a stone under controlled lighting and precise viewing conditions to determine the stones color. This is one of the most difficult things for a consumer to determine without some knowledge of what they may be looking at, but any diamond in the colorless to nearly colorless category is considered to be a more desirable stone. Clarity: Diamonds are created after thousands of years underground, essentially from carbon. This means they often have imperfections in the stone such as carbon spots, bubbles and other imperfections that may not be visible to the naked eye, but are referred to as inclusions. Professionals will use a 10X magnification loupe and even a microscope at times to locate and plot these flaws. The GIA grades diamonds on a scale that starts at Flawless/Internally Flawless where even under a microscope, there are no visible signs of imperfections. From there, the scale moves to VVS 1 or 2 (which stands for Very Very Slight Inclusion) where under a microscope there may be slightly visible imperfections, to VS 1 or 2 (Very Slight Inclusion) where under 10X magnification, there may be some slightly visible inclusions, to SI 1, 2 or 3 (Slight Included) where under 10X there will be visible imperfections that may also be visible to the naked eye. Finally the chart goes to I 1, 2 or 3 (Included) where the imperfections are multiple and visible to the naked eye. As the chart indicates, with each step down the scale, the imperfections in the stone become more visible and the value of the diamond goes down as well. Carat: The Carat weight of a diamond is different than the Karat or fineness of gold and represents the “size” or weight of a diamond or gemstone. While a diamond needs to be removed from its setting in order to determine its exact weight, many professionals are able to fairly accurately gauge the size of a diamond or gemstone based on the size of the stone as measured in millimeters (mm). Diamonds carat is expressed in points and carats with 100 points equaling 1 carat. So a ¼ carat diamond is actually 25 points or .25CT while a ½ carat diamond is 50 points or .50CT and so on. You may also hear the term “total carat weight” or CTTW. This involves combining the carat weight of several diamonds in one setting and totaling their individual weight. For example, a diamond wedding band with 4 stones that are each a quarter of a carat or .25CT each will add up to one carat or 1.0CTTW. Remember though, the value of one 1.0CT diamond is much more valuable than 4smaller diamonds that total 1.0CTTW. Always remember the 4 C’s and you’ll be shining in the glow of April’s birthstone. Gold & Diamond jewelry (and platinum too): Empire Loan offers cash loans based on the scrap value of gold and platinum jewelry and a small percentage of the wholesale value of any diamonds. The expert staff at Empire will be able to test and weigh your items and determine what they can offer you in the form of a loan or a buy. You may be surprised at how much your plain gold wedding band might be worth. Flat Screen TV’s: The world of TV’s keeps changing so Empire Loan uses websites like eBay and Amazon to determine what a particular model of TV is selling for used and will offer a percentage of that for a buy or a loan. If you bought your TV within the past year for around $1,000 new, it might be selling for half that amount used now. Empire Loan would offer you between 20% and 30% of that used resale value for a buy or a loan based on things like condition, if you have the original remote and which particular brand it is. Smart Phone: Empire Loan offers buys and loans on the used resale value of smartphones too. Based on the brand, model number, features and condition, Empire Loan looks at which wireless company the phone is tied to as well as making sure no money is owed. Once everything checks out, Empire will offer you a cash loan based on a percentage of the used resale value of the phone. Miscellaneous Electronics: Empire Loan can help you turn your electronics into a cash loan. Electronics like laptops, tablets digital cameras game systems, just about any current device that is in good working condition and has a strong resale value can get you a cash loan based on a percentage of the used resale selling price on websites like eBay and Amazon. Tools: Empire Loan does offer buys and loans on tools of all kinds. From hand tools like wrenches, ratchets and sets of screw drivers from high end manufacturers like Snap On, Klein, Craftsman and others are items Empire may make offers on, again, based on a percentage of what they are selling for used online. The same thing applies to power tools like drills, impact drivers, saws and others. As long as the tools are in good working condition, Empire Loan will make offers based on a percentage of what they sell for used on respected websites. Musical Instruments: The most popular instrument to get a loan from a pawn shop on is an acoustic or electric guitar. As always, the amount you can borrow is based on the particular make and model instrument you have, with American made guitars usually being the most valuable ones. Condition is extremely important and we do require that you have a case in order for us to be able to store your guitar safely. One unique requirement that Empire Loan owner Michael Goldstein has asked is that you know how to play it. The purpose of this is to show that it works properly but it also indicates ownership. Empire Loan also offers loans on saxophones, trumpets, amplifiers, keyboards and a wide range of musical instruments. What do you have? During over 30 years of business, Empire Loan has offered loans from as little as $26 to over $26,000. Customers have brought in: Specialized tools, high car rims, DJ equipment, collectables, golf clubs and even a horse saddle. 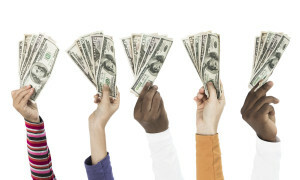 Our staff is trained to appraise a wide variety of items that our customers look to get fast cash for. Have a question? Give Empire Loan a call and we’d be happy to answer it for you. At Empire Loan, it’s that easy! Empire Loan offers customers cash loans and purchases of their old flat screen TV’s based on a percentage of their second hand selling price on websites like eBay and Amazon. Simply call your local Empire Loan store with the brand and model number of the TV you have and our staff can usually let you know right over the phone what they might be able to offer you. They’ll look it up on line and if they find that it recently sold used for $500, Empire could buy it or offer you a loan of $100 to $150 or more based on what you have with it and what condition it is in. This could be a great start on paying for your new TV! Recently we had a customer bring in his TV to get a loan so he would have the cash to buy one that was selling at a deep discount during one big box retailer’s Black Friday sale. After he bought the new TV he returned just after the holidays and picked up his original TV. If you’re in the market for a new TV and just need to make space, Empire may buy your old TV for cash based on condition and what it’s selling for second hand. Either way, you win. When you bring your TV into one of Empire’s stores the staff will check it out and see how much they can offer you. You walk out with cash and Empire safely and securely stores your TV until you come back. It’s that easy. One more thing: If you are looking to buy a new TV, Empire Loan is the place to go. All of the TV’s that are brought in are held for a short period of time, cleaned up and tested and then put out for sale at a fraction of the prices charged by those big box retailers. From a 15” table top TV on us to 60” or more, Empire Loan has a constant flow of flat screen TV’s to choose from. But one piece of advice for you is; if you like what you see, buy it because it won’t be around for long. The birthstone for March is the Aquamarine, a pale blue stone that takes its name from the Latin for “Aqua” meaning water and “Marina” for the sea, literally translating to seawater. 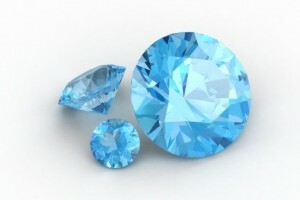 The color of the Aquamarine is reminiscent of the coral seas of the Caribbean or Mediterranean and was thought to protect sailors and guarantee a safe voyage. 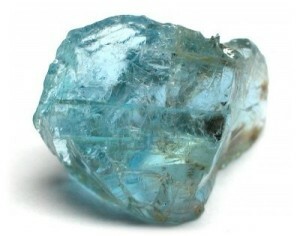 Mined mostly in Brazil, Aquamarine’s greenish blue color and hardness mean that it is an ideal for jewelry making as it can stand up to the heat it takes to create jewelry. The largest Aquamarine ever mined was discovered in 1910 in Brazil and weighed in at 110kg and was 19 inches long and 17 inches in diameter. These beautiful and sophisticated birthstones make formal evening wear extravagant as it reflects the light with its sparkle. What’s Hot For Valentines Day? Valentine’s Day is the one day each year when people express their love for others. Having grown well beyond just couples to include love for family and friends, young and old, Valentine’s Day has grown in spending too. It’s estimated that in the US, around $19 Billion (that’s billion with a capital “B”) will be spent on Valentine’s Day gifts. Over $50 million will be spent on flowers, with nearly the same amount being spent on jewelry. Consumers run around trying to find the perfect gift to say “I Love You” (or at least “I Like You”) with Jewelry being the most lasting of gifts. What’s most popular? It’s clear that diamonds are a girl’s best friend from the top internet searches. Start with Diamond Earrings, the most searched jewelry item on the internet for Valentine’s Day. This may be the perfect gift for your sweetheart when you’re not asking them to marry you. The next 3 top searches are engagement rings followed by “chocolate” diamonds (advertising clearly works) and Princess Cut Engagement rings. These next 3 are for those who didn’t go for the diamond earrings. Some of the other top searches and choices for Valentine’s day gift giving include charm bracelets which can be customized to the individual receiving them, but also provide fresh ideas for future giving as you can add one or two charms on any special occasion. “Designer” bracelets like “Alex and Ani” are also popular choices, even without the lasting impression gold and silver jewelry provides. Want to know what to give your loved one this Valentine’s day? Search history shows, jewelry is the way to your loved one’s heart. Each month of the calendar is represented by a different birthstone that has cultural, historical, religious and sometimes even mythical significance. The month of February is represented by Amethyst, a purple colored quartz gem that radiates from a violet to a deeper purple reddish hue. In ancient Greece it was thought to ward off Bacchus, the Greco/Roman God of the grape harvest (note the purple color connection to wine). Even the name Amethyst actually comes from the Greek word for intoxicated. It was said that the Amethyst would keep the wearer clear headed and quick witted. 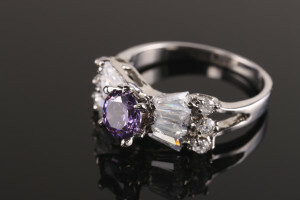 During the middle ages, English royalty often used the Amethyst as part of their clothing and jewelry to represent their position in society. Amethyst is found all over the world but the finer specimens were often found in Russia but today much of it is found in Brazil and Zambia. For those February birthday’s on your list, Amethyst jewelry could be the perfect gift.